Delray Beach began as a small farming community located on Florida’s southeastern coastline, just north of Boca Raton, in the late 1890s, and has since flourished into one of the Sunshine State’s premier tourist destinations. Its vibrant nightlife and world-class amenities attract over six million visitors annually, delivering a robust and culturally rich experience. A suburb of Palm Beach County, this quaint beach city was named “America’s Most Fun Small Town” in 2012 by Best of the Road’s Rand McNally and “Third Happiest Seaside Town in America” by Coastal Living in 2015. Shiner Law Group is just one of the many great small businesses that calls Delray Beach its home. Several of the lawyers and staff live and work in Delray Beach and it is not uncommon to run into us out and about enjoying the city. Our law firm prides itself in working with the Delray Beach community by participating in local charity work and fundraisers. Over the years our law firm has seen an increase of business from Delray Beach. Since we truly enjoy working with the people in Delray we decided it was a priority to make sure we have the ability to meet our client’s locally. We represent people who live in Delray Beach who were hurt as a result of someone else’s negligence. If you were injured in a car accident that occurred in Delray Beach you will need to hire a local injury lawyer. 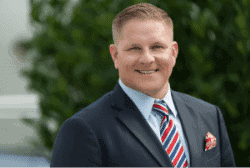 Our law firm has been helping Delray Beach people for years representing people from everything including car accidents, slip and fall incidents, and even wrongful death cases that occur in Delray Beach. So, if you were injured in a car accident or other type of accident call the attorneys at our law office and ask to be seen at our Delray Beach injury law office which is located at 1615 S Congress Ave. Suite 103, Delray Beach, Florida. Efforts to redevelop and expand much of Delray Beach’s 16 square miles in recent years has produced some of the town’s most recognizable landmarks, including five athletic fields, eight community parks, five beach and oceanfront parks, and two intracoastal parks. East Atlantic Avenue, or simply “The Avenue,” boasts a bustling nightlife with unique shops, high-end restaurants, and attractions like the Silverball Museum – a two level building housing 200 vintage pinball machines; however, as many visitors flock to this area, particularly for its recurring art and street festivals, we encourage everyone to exercise caution when walking the strip: Atlantic Avenue runs along highway US-1, where the major intersection is known for pedestrian accidents and car accidents involving the Trans AM bus line, as well as the train. Half a block north of Atlantic Avenue is the GreenMarket, an open-air marketplace featuring more than 65 vendors and live musical entertainment, where guests can get fresh produce, organic foods, tasty treats, and more! GreenMarket is widely considered one of the most popular of Delray Beach’s seasonal attractions, but the possibility of slip/trip and falls, especially around spilled food or drink, remains present. In Florida, property owners are required by law to maintain safe standards on their premises and safeguard the public from potential hazards. Common slip/trip and fall injuries include, but are not limited to, sciatica, back pain, concussion, knee pain, shoulder pain, joint pain, and traumatic brain injury. Delray Beach is exclusive in that its downtown includes the beachfront, which attracts more than one million visitors each year. Travel Channel listed Delray’s two miles of public beach as one of Florida’s Top Ten Beaches for two consecutive years (2015-2016). The beach has also received a Blue Wave designation for its cleanliness and serenity; however, as personal injury attorneys, we advise beachgoers to exercise caution when soaking up the sun, particularly in the water, as Florida is a prime location for boating accidents. Delray Beach’s Police Department ensures public safety through its L.E.A.D. the Way initiative: learning, excellence, accountability, and diversity. The Shiner Law Group was proud to join the Delray Beach community, in conjunction with the DBPD, as the 2017 title sponsor for National Night Out, a nationwide effort to promote drug prevention, anti-bullying, and crime deterrence. We join the Delray Beach Police Department in making the community a safer place to live, work, and play by promoting education and community involvement. The Shiner Law Group also reinforces its commitment to public safety through its mascot, Shiner the Shark. Shiner the Shark teaches children ways to be safety-conscious and how to appropriately respond in emergency situations. During the holiday season, Shiner the Shark partners with the Delray Beach Police Department for its annual toy drive, where unwrapped toys are given to local children in the area. Have you or someone you love been injured because of the negligent, reckless, or intentional conduct of another? Call us at (561) 777-7700 or contact us online for a free case review. Highly Recommended! I'm beyond satisfied with my experience at Shiner Law Group. I was hurt in an accident in 2017. I had bills piling up and couldn't go back to work because of my injuries. My case manager and attorney helped me get the treatment I needed and settled my case quickly. I couldn't be happier with the outcome of my case. Thank you!! !